Narendra Modi has been a huge advocate of usage of Technology in government. We can expect a more modern governance and greater push to the Information and Technology sector in the near future. With Narendra Modi-led NDA expected to form the government, India’s political landscape is set for a big change. The change in government is likely to have a strong socio-economic impact. 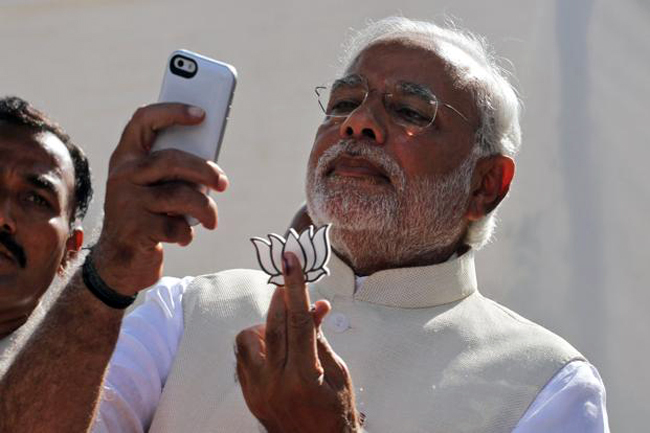 NDA’s PM candidate Narendra Modi has been a huge advocate for increased usage of technology in governance. In fact, Modi’s election campaigns across the country were massively powered by social networks, SMS campaigns and the most significant – 3D hologram projection. With Modi in power, we can expect more push to technology in India. As mentioned above, we can expect the new government to be more modern with greater focus on e-governance – one of the key factors believed to be behind Gujarat’s success. Just yesterday, Narendra Modi launched a new mobile phone application called ‘Jobs in GoG (Government of Gujarat)’. The initiative is part of an ambitious plan to prepare a recruitment calendar for all state government jobs for the next ten years. An improved e-governance is likely to have direct and positive impact on the common masses. We hope that happens soon. Modi’s 3D hologram projection campaigns were a huge success. Will we see this technology a government backing? Besides the hologram technology, we can expect a greater push to the communications sector. It is notable that the current telecommunications industry is reeling under severe margin pressure and policy paralysis. The new government is expected to revive the industry as well as encourage stakeholders to make greater and longer term investment in the industry. For end users, they can expect better internet and cellular networks, more choices and affordable packages from the industry. India kicked off the new millennium as the fastest growing name in the global IT sector. However, it took about 15 years to become a strong $100-billion industry. And now, the industry is estimated to reach $200 billion in the next five years. Key factors behind the projected growth are believed to be the improving global economy but most importantly industry consolidation led by M&A and new technology platforms. Diversification in analytics, mobility, cloud, social media and emerging verticals such as healthcare and medical services are expected to boost the IT sector. Modi’s government is likely to provide the necessary conducive environment for growth. Narendra Modi in his speeches has repeatedly talked about focus on manufacturing. Experts feel hiring in the manufacturing sector would surge in the coming months. “Manufacturing sector will revive as Modi believe in giving impetus to the manufacturing sector. Things like single point clearance, good infrastructure and easy availability of land are expected on his agenda,” Unison International MD Udit Mittal is quoted as saying. The technology segment, especially the local smartphone/tablet makers, can expect more encouragement from the new government to manufacture devices locally and bring the costs further down. However, it’ll be interesting how the foreign players such as Samsung and Sony– currently dominating the gadgets segment – adapt to the changed scenario. Aakash Tablet to be a reality? We already know Narendra Modi has taken dig at Kapil Sibal multiple times for being unable to deliver India’s ambitious ultra low-cost tablet – Aakash. Will the new government will make that happen? What else do you expect from Narendra Modi-led government in the field of technology?